Five seconds will separate Citroen chargers Sebastien Loeb and Mikko Hirvonen in the race for success on Neste Oil Rally Finland, round eight of the FIA World Rally Championship, which concludes with six ultra-fast gravel stages on Saturday. 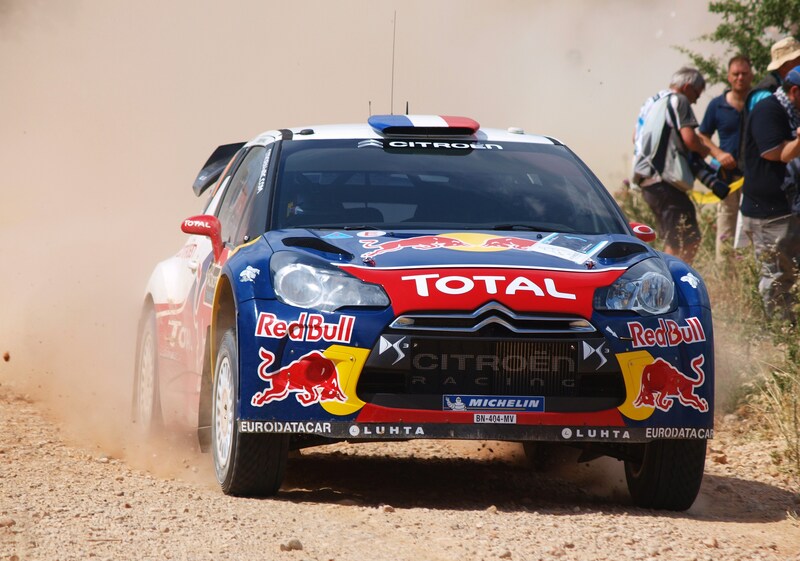 Loeb and Hirvonen have fought a close battle for glory throughout day two in their factory DS3 WRCs. While Loeb has remained in front, a rear differential glitch and a rare driving error on today’s penultimate test have helped to ensure the flying Hirvonen remains firmly in the fight for victory. Petter Solberg, in the second works Ford is fourth after going fastest on the penultimate test. His fellow Norwegian Mads Ostberg is a strong fifth despite set-up issues in the morning and brake issues in the afternoon. Ostberg had been in a close battle with Thierry Neuville until the Citroen Junior driver failed to hear a pace note on the penultimate stage and roll into a retirement. Ott Tanak is sixth after a cautious run through the afternoon stages after he used his only spare tyre following a puncture on the repeat of the Mokkipera test. Jari Ketomaa has been dogged by a persistent misfire for much of the day but completes in seventh place for Autotek Motorsport. Matti Rantanen is eighth with Martin Prokop ninth and Ken Block climbing to 10th for the Monster World Rally Team. Chris Atkinson was in eighth overall, having lost time with an intercom glitch this morning, when he left the road on stage eight after mishearing a pace note. He lost several minutes when his Qatar World Rally Team Citroen got stuck on a tree stump. The Australian eventually retired from the day when he damaged the front-right of his car striking a rock on stage nine. Evgeny Novikov was also out of luck, rolling twice on stage two. Despite inflicting significant cosmetic damage to his Fiesta he was able to continue although his co-driver Denis Giraudet spent the rest of the day nursing a sore back, the result of a heavy landing on the today’s opening test. Riku Tahko is the leading MINI John Cooper Works WRC driver despite spinning at a junction on the penultimate test. Armindo Araujo was able to make improvements to the set-up of his WRC Team MINI Portugal entry. However, his team-mate Paulo Nobre retired on stage 10 when he went off the road and got stuck.